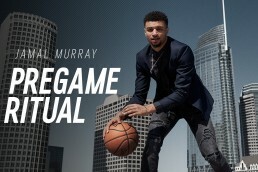 When you first meet Jamal Murray, you may be surprised by the laid-back cool that he exudes, which is a direct contradiction to the modus operandi of nearly every other young athlete on the planet. But what may be even more surprising is Murray’s ability to explode for 30-plus points on any given night. 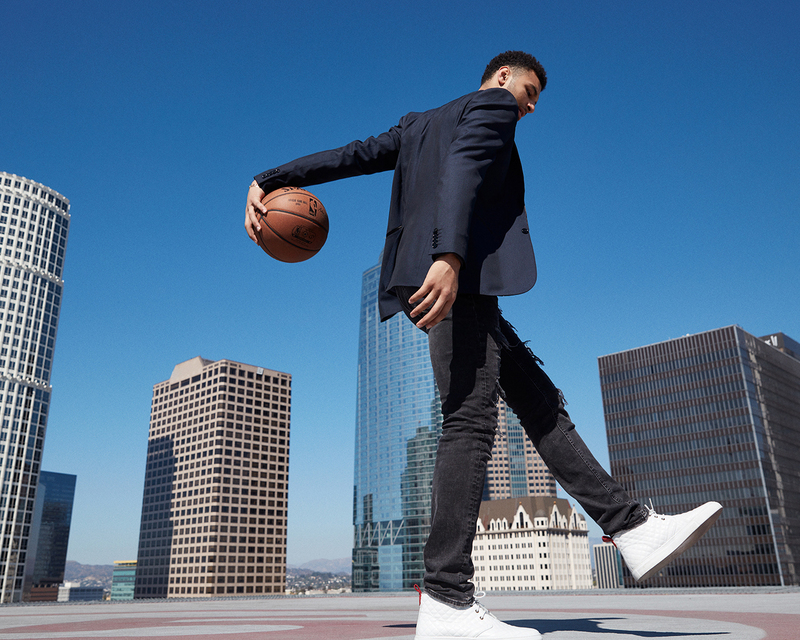 He may be quiet off the court, but he has a lot to say on it. And that’s exactly the balance the Express Game Changer is looking to strike as he opens more and more eyes. This is your second year in the league. Can you take me back a year to your very first game in the NBA? Do you remember what was going through your head right before you stepped on the court? When you go out there, you’re not sure what to expect at first. You’re kind of in awe, but you get the hang of it. You just don’t want to do anything wrong. Do you still get nervous at all before a game? I’m not really too nervous about a basketball game. I’m more focused on preparing like with any other game. I read that your father actually introduced you to meditation to help prepare for a game. How important is that to your on-court success? It’s pretty key. I do it before every game. I try to make it a habit to make sure I clear my mind before a game. I’ve been doing it for a while now, and it’s helped me out a lot, so I try to stay on top of it. Do you have any superstitions or routines you have to go through before a game in order to feel more like yourself out there? I like to sleep before games. I like to make sure I’m well rested, but nothing else particular before a game. Just making sure I got good rest and my head is straight. The NBA season is definitely a long, challenging one, and you have to travel so much as a player in the league, which I’m sure makes getting proper rest even more vital. You don’t really realize it until you go through it. It gets tiring, but you don’t actually see how much it tires you out until later in the season. Like right about now. You definitely have to keep that in mind and make sure you’re well rested. That’s definitely something that players have to pay attention to. Was that a tough adjustment for you to make coming into the NBA? You don’t really know what to expect with something like that on a nightly basis. Going from plane to plane, that definitely has an effect on you. But you don’t really notice it until you go through it multiple times. We’re coming off of NBA All-Star 2018 where you participated in both the Taco Bell Skills Challenge and Mtn Dew Kickstart Rising Stars. Is there any sort of pressure to games like that or can you relax and have fun with basketball? I had a lot of fun playing with some players I don’t normally get to play with. You know, I just made the most of it. We just got to go out there and be relaxed and play the game. You’re a young player on a young team, but you’re one of the most exciting young players. What has the highlight been of the season for you so far? We’ve had some ups and downs, but it’s a lot of fun to get to play with every single guy on this team. 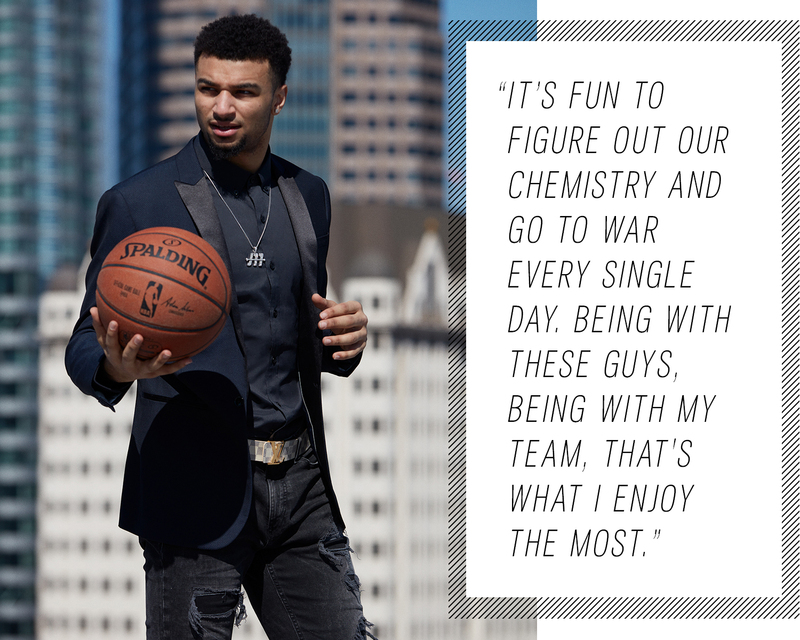 It’s fun to figure out our chemistry and go to war every single day. Being with these guys, being with my team, that’s what I enjoy the most.